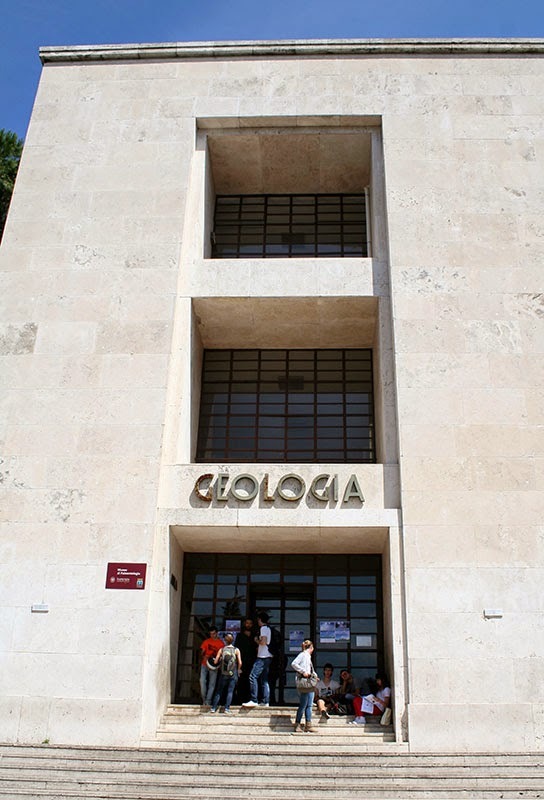 Here is a picture of a fossil housed in a display case at the Geologia building located on the campus of Sapienza University of Rome. The case can be found on the second floor of the building. 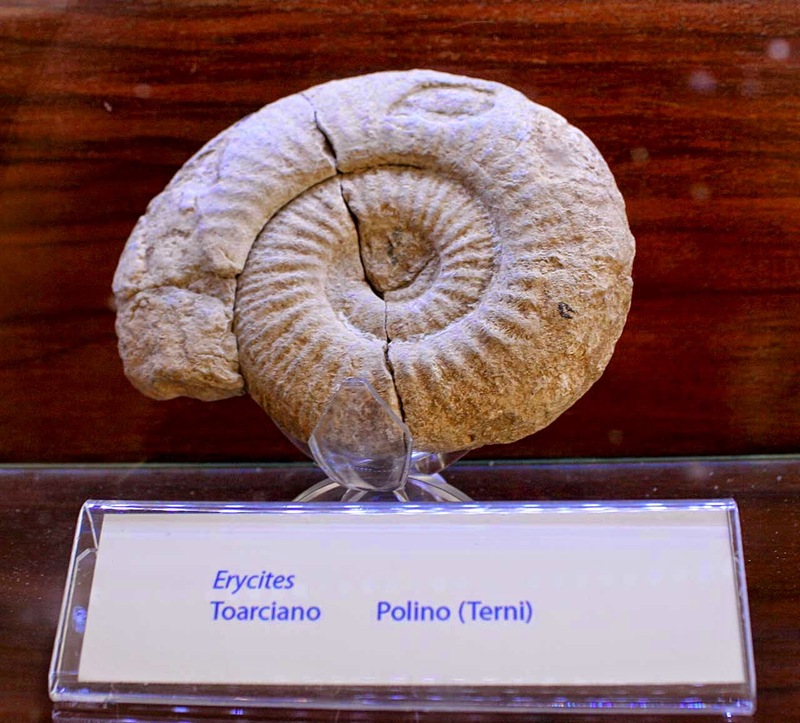 The ammonite fossil is called Erycites sp. and lived in the Lower to Middle Jurassic Period. The specimen was found in the Toarcian stage of the Umbro-Marchigiano-Sabina facies of central Italy near the village of Polino.